Founded in 1996, Hearts on Fire has brought the finest diamonds and diamond jewelry to jewelry lovers around the world for more than two decades. The Hearts on Fire wedding bands offered at Long Jewelers dazzle with "the world's most perfectly cut diamonds" that are sourced from less than 1/10th of 1% of the world's natural rough diamonds. In addition to this spectacular diamond brilliance, the men's and women's wedding bands of Hearts on Fire can be found featuring a wide selection finishes, as well as made with long-lasting white gold, rose gold, yellow gold, and platinum precious metals. 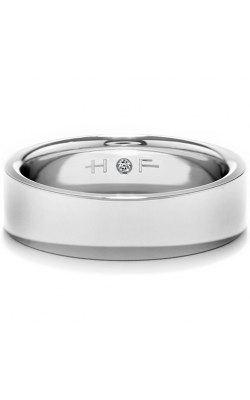 For couples searching for the ideal wedding rings to celebrate your eternal love, look no further than the impressive selection of authentic Hearts on Fire bands available today at Long Jewelers. 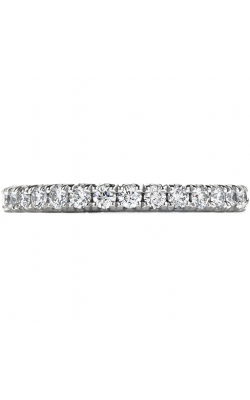 With a variety of pieces for brides and grooms alike, the experienced staff at Long Jewelers is thrilled to offer a unique selection of Hearts on Fire diamond-covered wedding bands to their beloved Virginia Beach customers. An authorized Hearts on Fire retailer, every Hearts on Fire wedding band is 100% authentic and hand-picked by a bridal jewelry expert for quality and brilliance. Firstly, from the wonderful Hearts on Fire Transcend, Lorelei, and Optima collections is a bevy of brilliant bands that are dripping in a treasure trove of diamonds. On the other hand, for a more stylish and fashion-forward look, the Coupled, HOF, and Diamond Bar collections feature shapes that range from flowery curves and sharp angles to almond-shaped gold teardrops glimmering with immaculate white diamonds. In addition to this breathtaking inventory, also available at Long Jewelers is a striking selection of groom's rings that take advantage of the designer's perfectly cut diamonds to create modern and masculine men's bands that have designed especially for a man's hand. Located in Virginia Beach, Virginia, and servicing the Norfolk, Chesapeake, Portsmouth, and Suffolk regions, Long Jewelers is the Tidewater area's source for Hearts on Fire bridal jewelry, along with engagement rings, wedding bands, fashion jewelry, and Swiss-made timepieces from many other fabulous designers. Providing a knowledgeable and friendly atmosphere, staff of Long Jewelers also extends a 30-day exchange policy, free domestic shipping, sensible financing plans, and on-site jewelry and watch repairs, ensuring that customers' treasured heirlooms stay alluring for a lifetime.